I have joked about how my grandmothers would shake their heads at me if they could see me fussing over the appearance of my hard boiled eggs. 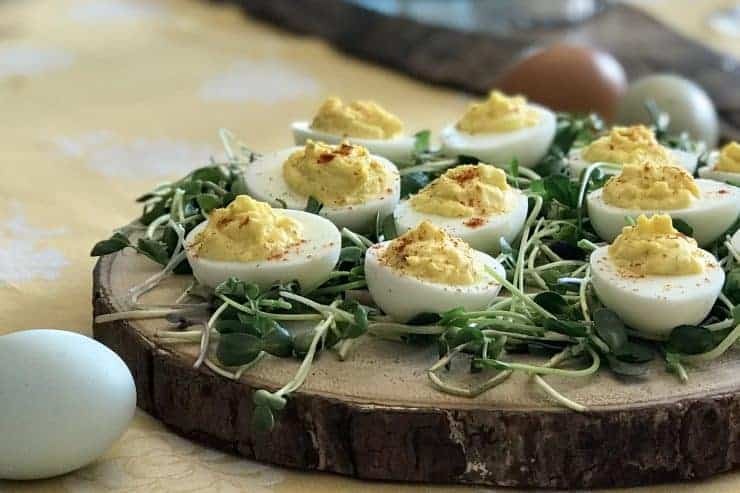 There would be an audible gasp if they could see how much restaurants are charging for a small plate of deviled eggs and how obsessed people have become with this simple side dish. 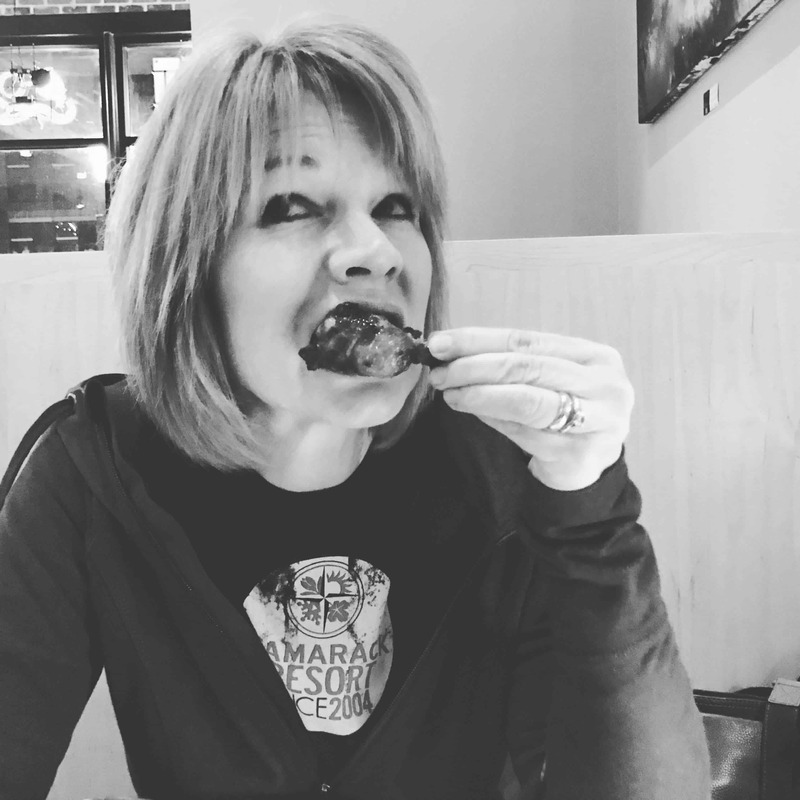 Pinterest is full of recipes to change up the traditional version … avocado-bacon, wasabi, jalapeño-popper, buffalo-blue, etc., etc. It is fun to experiment with the flavors but it all starts with a solid traditional recipe. A good deviled egg first and foremost requires a good hard boiled egg. Proper cooking time and a smoothly peeled egg are essential and easy if you know the tricks. 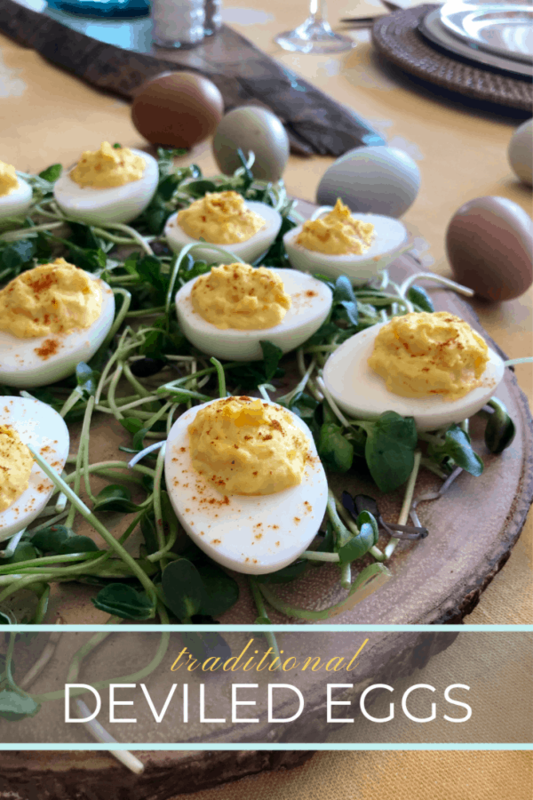 Check out my blog, Hard Boiled Eggs, for easy-to-follow instructions and even a video of me peeling an egg one-handed! Yolks and Whites: Once the eggs are cooked and peeled, gently remove the yolks into a bowl and set the whites aside. Mash the yolks with a fork in the bowl until the texture is even and smooth. The secret to achieving the perfect filling consistency is not just the ingredients you add but the amount of the ingredients you add. It is not easy to give exact measurements because there is so much variation in eggs (yolk to white ratio, size of the egg, etc.). 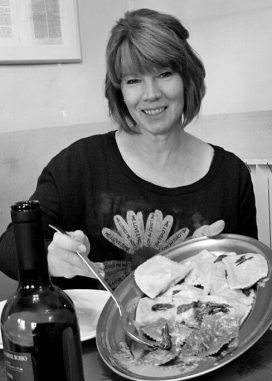 The best advice I can give is to start with a smaller amount of each ingredient than you think you will need (or is listed in any recipe). You can always add more! I am going to give my best estimates for amounts based on 14 large, white, store-bought eggs. Start with half of the amounts, mix them in individually and check for taste and consistency with each addition. Add the salad dressing or mayonnaise last. If all the ingredients are added at the same time, there is no way to correct it if the mixture is too thin. Why 14 eggs instead of 12? Give yourself some room for error. It is almost inevitable that an egg or two will crack or not peel well. 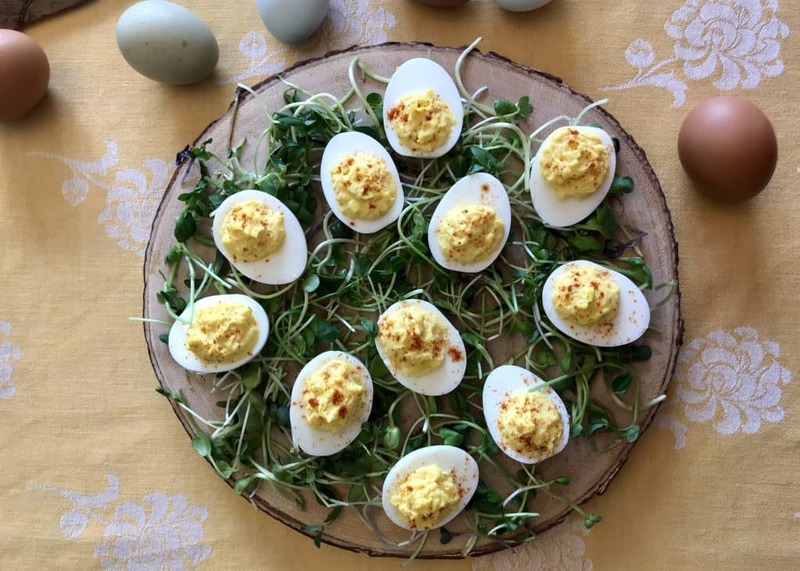 An extra egg or two provide insurance for a beautiful tray. As I mentioned earlier, but just in case you skipped ahead, start with HALF of the following ingredient amounts. You can always add more to achieve the perfect consistency. NOTE: Either dill or sweet pickle relish will work in this recipe. If using dill relish, add 1/2 teaspoon of sugar to the filing. If using sweet relish, consider adding 1/4 teaspoon dry dill weed to the filling. Don’t have pickle relish? Chop up some of your favorite pickles, very fine, and measure including some of the juice. Olives would be another delicious option. 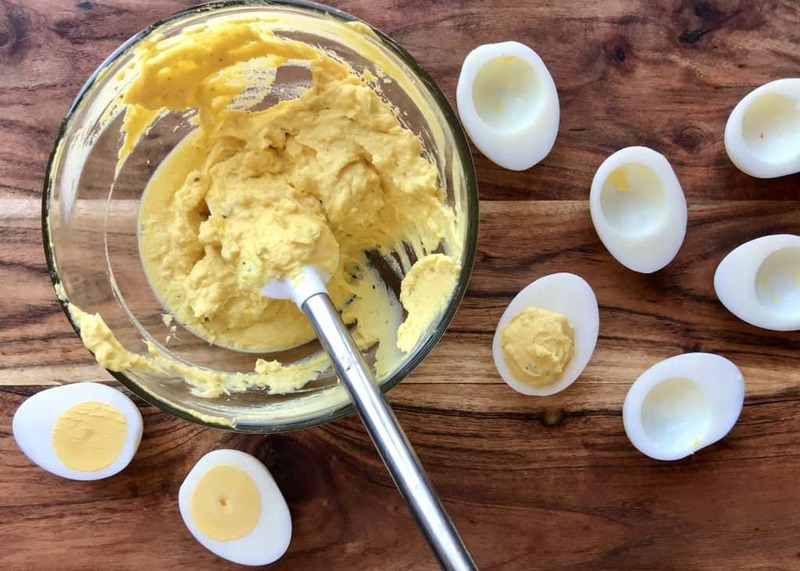 Scoop about one teaspoon of the filling into each egg white half, gently pushing the filling into place and smoothing or swirling the top into little peaks. A piping bag or icing gun can be used for a more professional look. For the picture above, I simply sprinkled paprika on each egg before serving (if you put it on too early, it can “melt” into the filling). Small pieces of roasted red pepper or pimento, a thin slice of olive, a sprinkle of fresh chopped chives or a sprig of fresh dill are all good choices for glamming up the appearance. 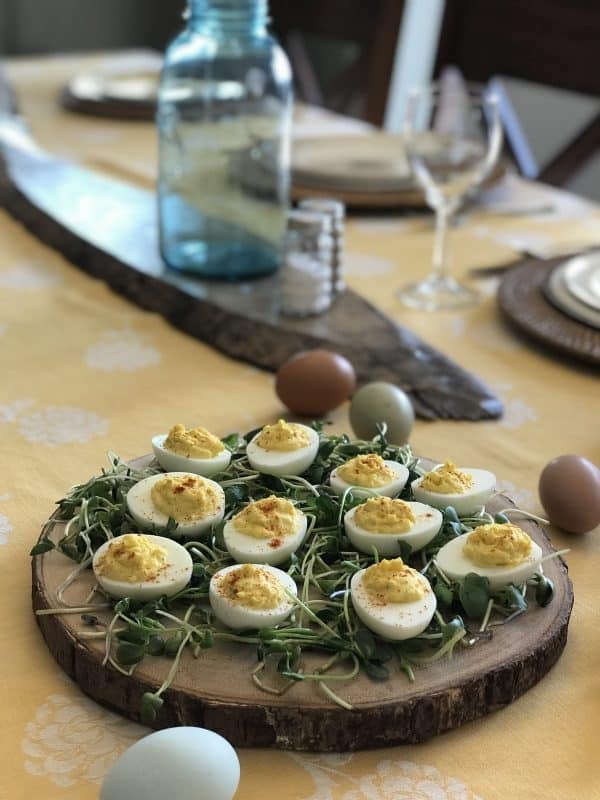 If you don’t have an egg plate, find a fun platter, serving tray or cheese board and spread out a layer of sprouts to help hold the eggs in place. 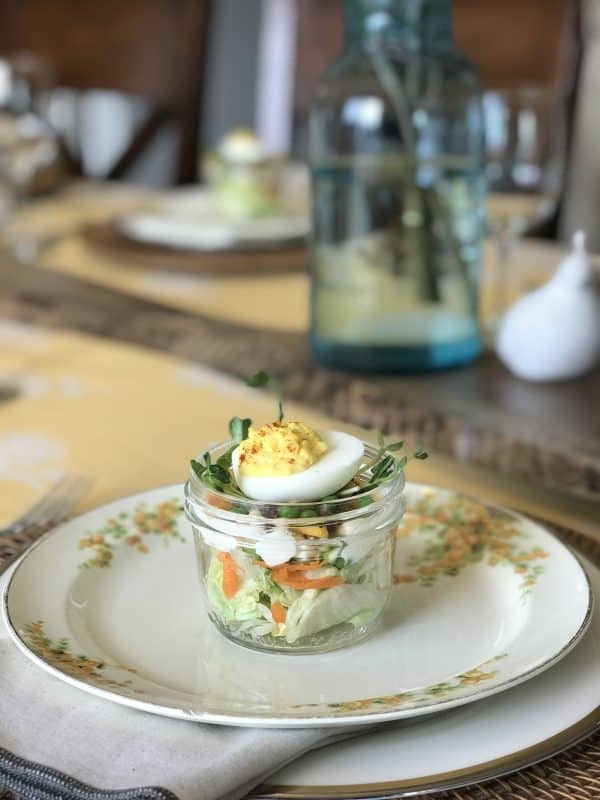 For Easter this year, I am presetting our table with these individual layered lettuce salad jars which have been topped with a few sprouts and a deviled egg. I love the idea of one less thing to pass and a beautiful invitation to sit down, relax and give thanks. May all your picnics, tailgates, potlucks, lunches, brunches and gatherings be shared with good company!